From the Vault: The Okkervil River frontman read from a copy of White Walls by Tatyana Tolstaya. On Nov. 13, 2008, after Okkervil River had performed a live Daytrotter session, frontman Will Sheff lingered behind to record a Bookery reading—part of a series in which musicians read from some of their favorite books. Sheff chose to read from a copy of White Walls, by Russian writer Tatyana Tolstaya. Within the pages was “Okkervil River,” the short story from which Sheff derived his band’s name—also that of a Russian River. He read it beautifully, like one of the stage actors that fill his descriptive songs, the delicate beginnings of the idea of Okkervil River recited in quiet Rock Island, Ill. 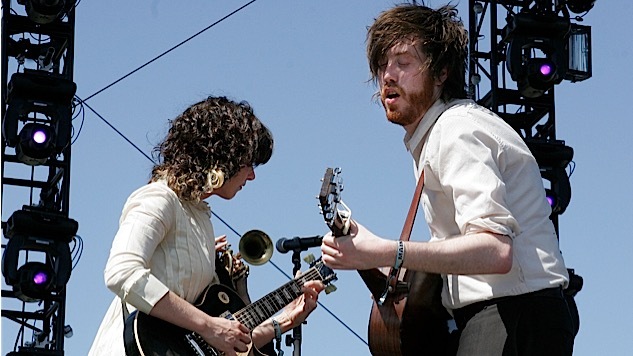 Listen below, and check out Okkervil River’s Daytrotter session here.